Home / gaming / gaming laptop / msi / MSI Best Graduation Gift Sale. 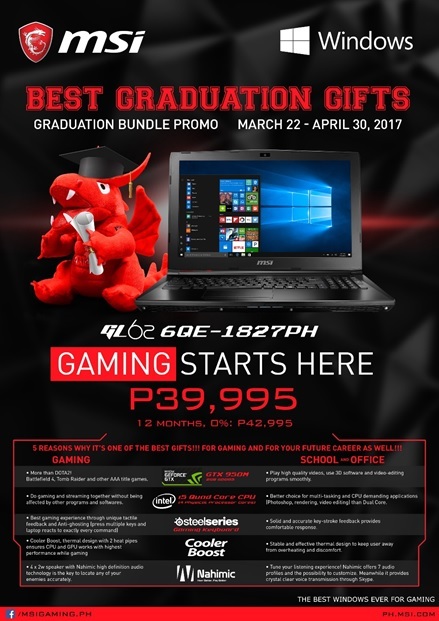 MSI Best Graduation Gift Sale. For updates about MSI notebooks, visit their FB Page at MSI Philippines Notebook.